Heavy Duty Needle Roller Inner Rings, Inch dimensions. 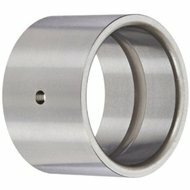 Inner rings can be used with Heavy Duty Caged Needle Roller Bearings HJ Series for applications where it is impractical to use the shaft as the inner ring raceway these inner rings are identified by prefix IR . If you don't see your sizes please Contact Us.